Have you considered what the IBPSA Member digital badge means to you and your clients? In a nutshell, digital badges build legitimacy and trust with your clients. First, literally, when they hover over the official badge properly embedded on your website, they will see you have agreed to a Code of Conduct. 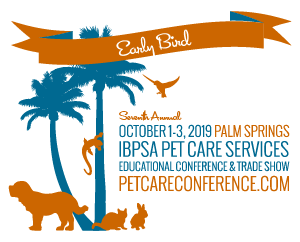 Also, innately, they will recognize you have taken a step to become part of a larger community of dedicated pet care professionals. By joining and participating in membership you have demonstrated to your clients that professionalism, knowledge, and skills are what set you apart from other providers. Why is it important to use your official IBPSA Member digital badge available only through your IBPSA Member dashboard? In addition to showing the Code of Conduct, it will automatically update every year you renew your membership. Further, it cannot be as easily lifted off of your website and misused by someone else. Your digital badge is directly connected with your specific membership. As long as your membership is current, the code will automatically update and keep your badge current. Easy! 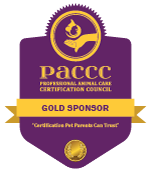 Your clients can see that you are a current, active member of the International Boarding & Pet Services Association. Do clients really pay attention to that badge on your website? Yes! The IBPSA staff often takes calls from pet owners who are verifying a badge that they see on a website. When the badge they are calling about is not a legitimate badge it makes for interesting conversation. It’s not uncommon for a pet owner to indicate that they will not use that pet care service provider. An official digital badge does make a difference. So how do you get your official IBPSA Member digital badge? Click on View, copy the code, place on your website. If you don’t manage your website, contact your website developer and have them update the code for you. Make sure they understand the importance of using your official IBPSA Member digital badge and not an image they’ve created themselves. If you have any questions about accessing your digital badge code, please do not hesitate to reach out to Angy, our IBPSA Member Concierge, at angy@ibpsa.com and she will be happy to help you. As a pet care provider, we know that you face many challenges each day: regulation, taxes, human resource shortages, bad weather and, for some of you, catastrophic events like wildfires, flooding, and extreme winter weather. IBPSA is a community of professionals that look to help each other and offer needed assistance when they can. We also look to find ways to make education and participation easier for you and your staff. And we want to help make sure that pet owners immediately recognize that you’re part of this professional community when they look at you. Take advantage of your official IBPSA Member digital badge. It matters.